The currency symbol and money format found in general settings & payment settings can be set per client. 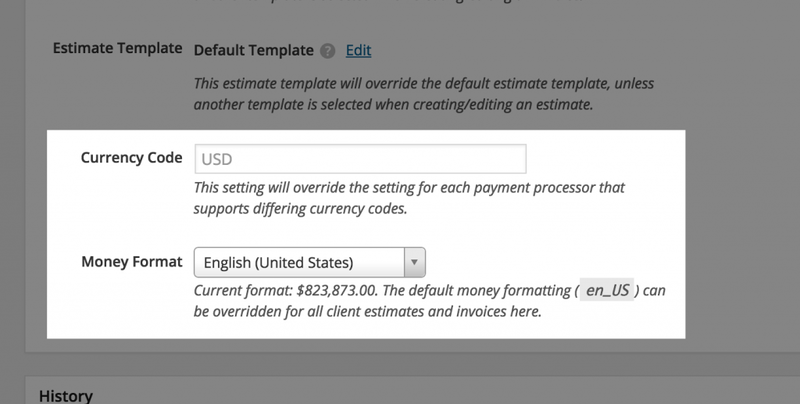 Allowing for your foreign clients to receive invoices and estimates in their own currency. 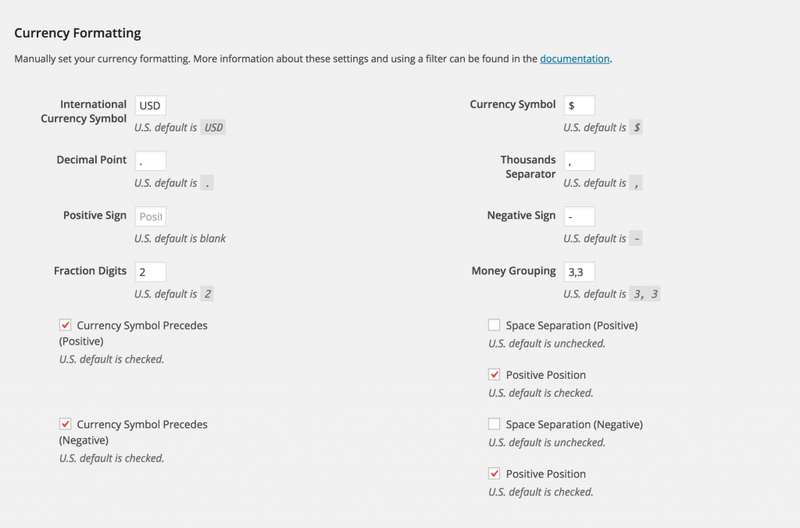 The default currency formatting options are found on the General Settings page. 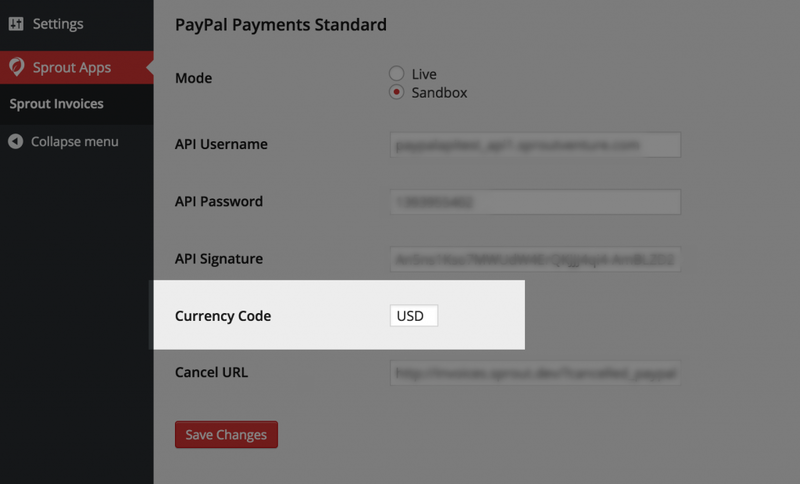 The payment settings page (if payment processor accepts it) has the option to set the Currency Code. Getting paid in their currency can be helped by changing the currency code, another setting that (if supported by your payment processor) can also be changed per client. Below you'll see these options within the Advanced meta box of the client management screen. Note: you will also notice that client's can have their own custom templates assigned to them.